Our team drives innovative IT solutions. Faced with the fast-paced changes in technology and challenging IT requirements, our management team works together to develop cutting-edge IT solutions for our clients. Always striving for excellence, they collaborate with their teams to continually look for ways to improve the client experience. At Evolving Solutions, client partnership is a top priority. From developing long-term relationships to implementing IT solutions, our management team looks for ways to truly support our customers and keep them ahead of the competition. Jaime Gmach co-founded Evolving Solutions in 1996 and continues to lead the company today as its President and CEO. Together with the extended Evolving Solutions team, Jaime has built the company into a business focused on creating enduring, open and trusted client relationships as a leading technology solution provider to businesses throughout North America. Jaime has spent the past 30 years serving in various leadership roles within the technology industry. 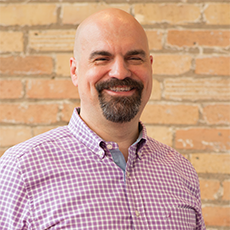 Jaime’s career began as a Systems Engineer with a Minneapolis based professional services firm where he traveled throughout the world focusing on the implementation and support of midrange compute and storage solutions. Daily face-to-face interaction with clients early in his professional career served as the inspiration for Jaime’s entrepreneurial passion and for his continued desire to work closely with clients. Jaime has been named a Finance & Commerce Innovator of the Year for leading Evolving Solutions onto the cutting edge of server and storage virtualization solutions. 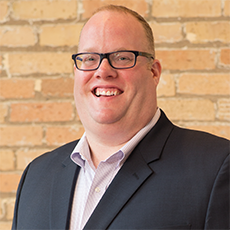 Under his leadership, Evolving Solutions has been named on multiple occasions as one of the fastest growing technology companies in the United States by CRN Magazine as well as one of the fastest growing businesses in Minnesota by the Twin Cities Business Journal. Over the years Jaime has steadfastly served the industry as an expert resource in various areas of technology and authored several articles providing insight on technology transformation and next generation data center investments. One of Jaime’s true passions in life is giving back to the communities of Minneapolis and St. Paul. He has led several Evolving Solutions philanthropic initiatives in which the company provided technology, financial and labor support to charitable organizations in need of help. Bo and team develop the quarterly and annual sales strategies/targets, services offerings, marketing programs and cross-team KPIs. Additionally, Bo leads senior level relationships with key principals at clients, manufacturers and other technology organizations. Bo has a finance degree from the University of Evansville and an MBA from Creighton University. He is the president of the board of Nebraska HOBY Youth Leadership; chairperson of the University of Evansville Board of Visitors; and a member of the Educational Foundation of Lambda Chi Alpha Board of Directors and Hanscom Park Church finance board. Joel Wyttenhove has over 30 years of operations and financial experience in the technology industry. Joel’s career began as a Certified Public Accountant, where he specialized in tax and strategic planning for small to mid-sized businesses. He then worked as the CFO of a Minneapolis-based IBM business partner. In this position, Joel oversaw 100% growth while the company transitioned from a hardware distributor to a software and services systems integrator. Drawing from these experiences, Joel started his own business to create, design, sell and support a visionary ERP solution. This solution is used by over 75 companies throughout the computer technology distribution industry. Starting in 2001, Joel joined Evolving Solutions as the controller, and in 2008, he was promoted to Vice President of Operations and Finance. Based upon his past experiences, Joel brings a wealth of knowledge into the financial controls, reporting and strategic planning business functions. Susanna Woods joined Evolving Solutions in January 2018 as Director of Sales, with 30 years of experience in a variety of marketing, sales and sales leadership roles. As Director of Sales, Susanna is responsible for developing and executing all sales strategies at Evolving Solutions. Prior to joining Evolving Solutions, Susanna was most recently the Director of Commercial Sales at IBM, where she was responsible for sales and profit for IBM’s distribution clients across the entire IBM portfolio of solutions. Susanna is passionate about the development of next generation talent, and serves as a mentor to many early career professionals. Susanna is married with 3 children and lives in Medina, MN. She is an active member of Wayzata Community Church, where she served for 3 years as a member of the Board of Deacons. She also serves on the board for the Minnesota High Tech Association. Michael joined Evolving Solutions in 2014 to develop solutions for our clients across hardware and software, both on and off premise. He brings over 18 years of creating architectures to solve complex business problems including big data, high performance computing, integration, automation and end user computing. His broad technology, business and industry experience provides valuable perspective to our clients working to implement innovative technologies to support their success. As Chief Technology Officer, Michael leads our team of experts focused on helping our clients solve their most challenging problems. He also evaluates emerging and disruptive technologies to bring the real world experience of the Evolving Solutions team to help our client’s business. Melanie Glawe joined Evolving Solutions in 2015 with over 20 years of experience in operations management. Melanie is responsible for overall leadership of the operations team, defining policies and internal controls to drive efficiency while maintaining quality. Melanie’s operations experience spans a variety of industries: Financial Services, Healthcare Services, Telecommunications and other Software-as-a-Service (SaaS) organizations. Her areas of expertise include: operations management, establishing and managing supplier relationships, building high performing teams, and leading operational process improvement initiatives. Margaret is Evolving Solutions’ Director of Professional Services and specializes in UNIX consulting and project management. 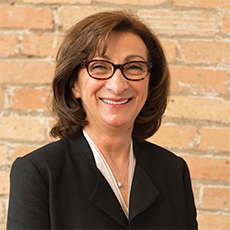 After leaving her successful professional consulting firm in Minneapolis, where she led her team by dedicating her time to ensure the firm’s clients had smooth, efficient, and cost-effective professional service solutions, Margaret found her way to Evolving Solutions. With a Bachelor’s in Computer Science, and many years of leadership experience in her vast skill-set, Margaret brings unmatched information technology consulting services and project management to Evolving Solution’s clients, and continues to provide that leadership as the newly appointed Service Deliver Manager. When she isn’t consulting or managing projects, she stays active with her family and volunteers with St. Olaf Church’s Children’s Program. Heather came to Evolving solutions in 2016 and brings experience from an array of industries. She holds a bachelor’s degree from Saint Cloud State University and is an active member in the Society of Human Resource Management (SHRM). With more than 15 years of experience, Heather strives to capture the spirit of human resources through a desire to continually improve working conditions. From general development tactics to recruiting talent, developing benefit plans to experimenting with new HR tech tools and making HR processes more efficient, Heather is always looking to raise the bar and be a team champion to take people or processes to the next level. When Heather isn’t looking to improve company and employee conditions, she spends a lot of her time volunteering with local athletic organizations. Alissa brings her accounting skills and passion for organizational improvement and growth to the Evolving Solutions executive team. In addition to handling the normal stuff like financial reporting, budgeting, audits, contracting, etc. she helps build out the accounting backbone of Evolving Solutions, looking at systems, processes and teams for opportunities to improve and grow. Majoring in accounting, Alissa graduated from The College of Saint Scholastica in 2000. She spent time in public accounting at a small firm and then went on to spend the rest of her career working in multiple industries, including in software firms, where she has extensive experience with both on-prem and SaaS. Her experience ranges from start-ups to well-established organizations. Alissa lives in a small-town west of the Twin cities with her husband and three kids. Much of her free time is spent being a sports mom (couriering kids back and forth and keeping track of busy schedules), but when she’s not doing that, she enjoys being out on the lake, going for walks, and just spending time with her family.